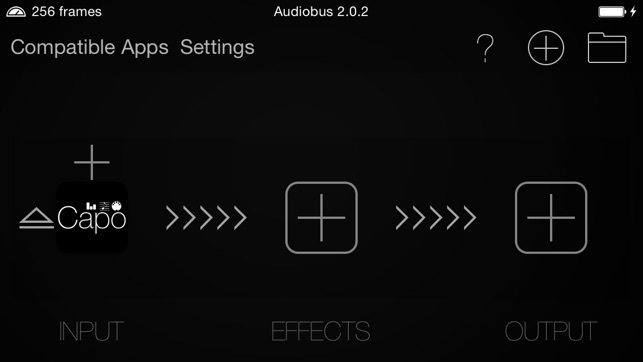 One of the best sounding guitar apps around — with each single note of the guitar carefully recorded. 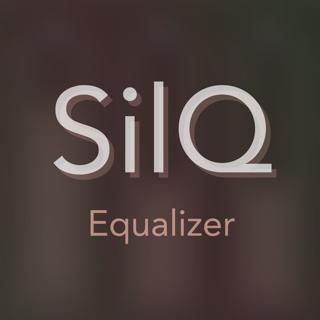 Highly playable user interface with easy access to hundreds of chords that can be visualized just as they would be played on a real guitar. 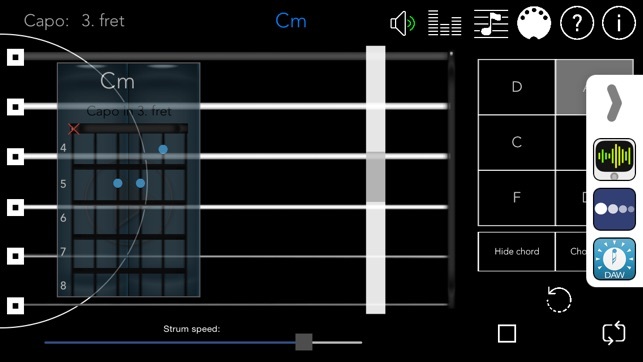 With GuitarCapo, playing guitar and learning chords turns into a breeze. With simple clicks you can discover the most unique chords. 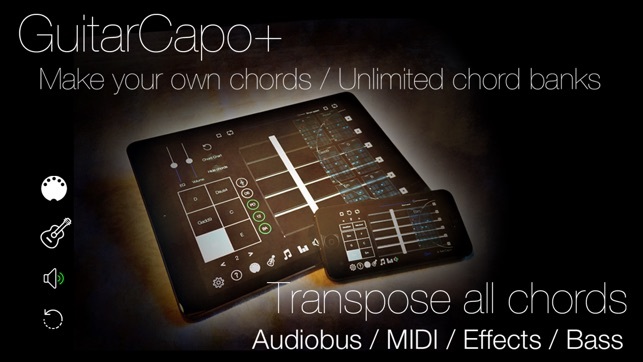 In addition, you can use the built-in capo to transpose chords — just like on a real guitar! 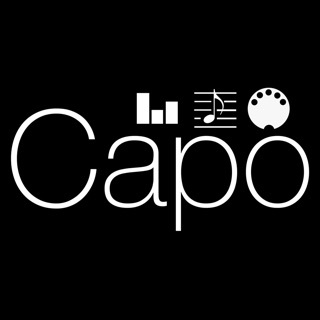 With GuitarCapo however, you are shown the name of the new chords you're playing! Made with passion and 20 years of guitar experience. "...One of our favourite apps, GuitarCapo+ is now even better..."
"...There are several "play like it's a real guitar" apps for iOS currently available, but what I like about GuitarCapo is its simplicity and unique versatility which no other app in its class offers..."
"... this is a very useful tool for any guitar player to have to hand on their iPhone or iPad..."
"... a virtual instrument and a whole lot more ..."
"... few combine the features of GuitarCapo+ ..."
Already downloaded in 80 countries. You will find configurable buttons that provide direct access to hundreds of chords with a simple click. In the chord library you will find everything from simple chords to more advanced jazz chords. 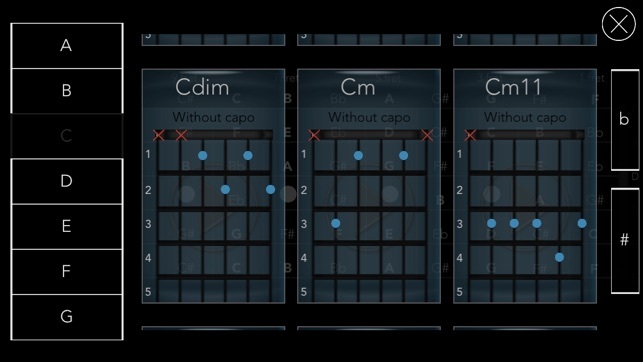 You can even make your own chords with the Chord Builder! All chords can appear on a chord display indicating how they could be played on a real guitar. If you tap them, the chord will be played. It is you who decide how fast the chord should play. This is an amazing way to learn new chords! The effect mixer allows you to change the sound as you desire; pan each string, delay, reverb, distortion, EQ and volume. You can also save your settings for later use as a preset. With support for Inter-App Audio (IAA) , you can use GuitarCapo as a virtual guitar and send sound directly to other music host apps also support IAA. Please continue your support by leaving a review in the App Store. It means everything! 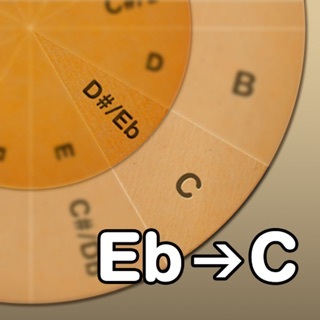 GuitarCapo+ is an excellent app! I'm very happy with the purchase. The midi features work well with my mobile DAWs, the chords are very customizable and the guitar sounds great with IAA or use it to trigger any other sounds you like through midi out. One request: I would like to be able to trigger the fingerpicking patterns, Strum 1 - Strum 5, from my midi controller, it would be great to be able to program those parts from the midi DAW as opposed to only strum up/down. The midi is set up really well in GC+ as is with CCs, maybe an additional CC to switch to Strum 1 - Strum 5? Or something in the app's UI? Take a little time to learn the user interface (UI). The manual is pretty explanatory. You can program this as the ultimate strum machine. You can strum or push buttons to strum...up or down...fast or slow. You can also control with a midi board for soloing or strumming. 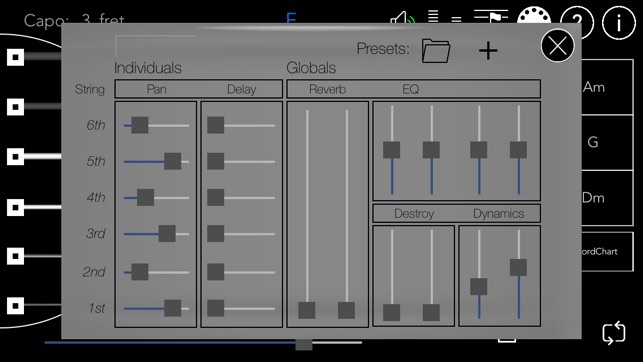 Inter app capabilities let you use guitar amps. This is the keyboard guitarist’s solution right here! Creators may want to consider a solo mode that doesn’t require the user to have a midi controller to play solos, but the app is 5 star as is! Very professional app already but I would like to see more chords (at least 8), ability to drag and drop chords from a library(and or copy and past chords) into the slots and the ability to name and save as the chord banks (not just numbers). Companion apps for banjo and ukulele?? Using app with a 12 Step so I can trigger the chords using my feet. Great midi in/out. 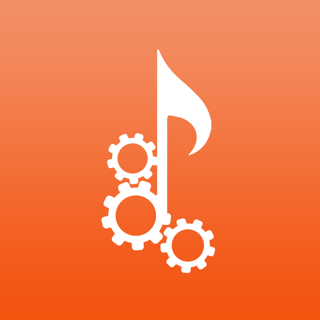 chordmatic - chord transposer to transpose chords on your phone!